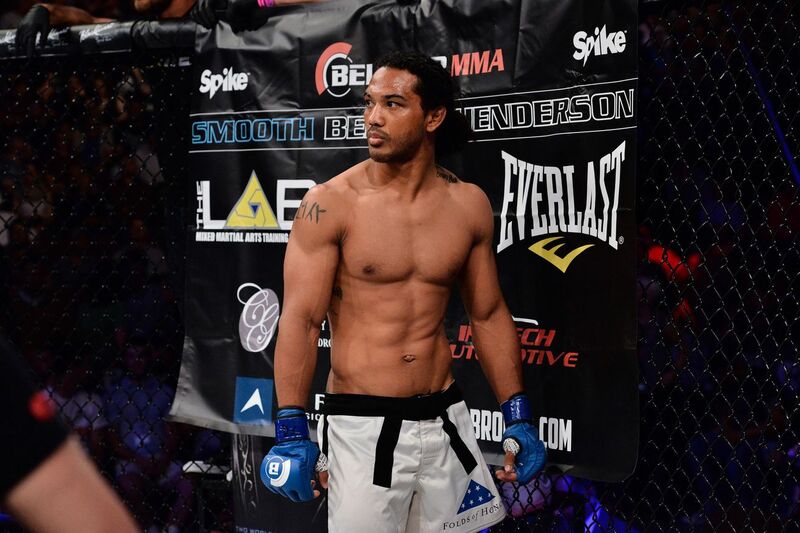 Benson Henderson arrived at the doors of Viacom earlier this year with a more decorated pedigree than nearly any major Bellator free agent signed before him. Over seven years in the WEC and UFC, Henderson ran roughshod over a litany of big names en route to a record-tying reign atop the UFC lightweight division, bagging top-flight scalps like the Cerrones and Edgars and Diazs of the world while stacking his trophy case high with gold. It was a given that all of that success would translate to the Bellator cage; after all, Henderson was only 32 years old and his departure from the UFC was done coming off two straight wins over larger men. But the fight game is a volatile mistress. Rather than fulfilling the goal of becoming two-weight world champion that he set for himself at the start of his Bellator journey, Henderson has struggled to recapture his former magic in the circular cage. And with a lightweight title shot at Bellator 165 looming, Henderson understands the reality of the situation he faces.